It seems like there is a 'day' for everything now - beer, ice cream, donuts - and running. But hey, I'm always up for an excuse to celebrate something I love. This morning the Go Far Run Group had an early morning run party at Athletic Performance in Willow Glen and the store owners were fabulous hosts. 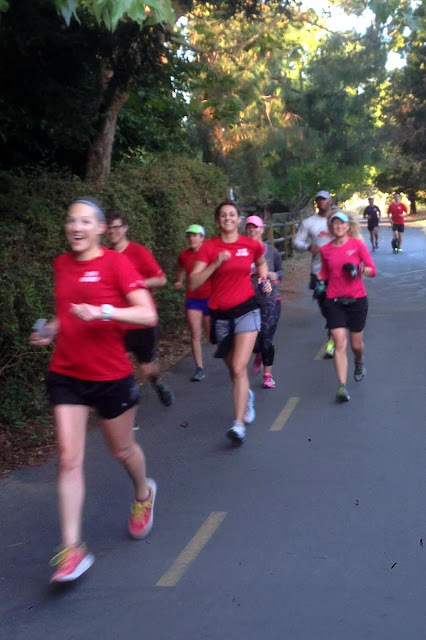 We met up a little before 6 am and headed out for a fun 5K distance run in Willow Glen and on the Los Gatos Creek Trail. 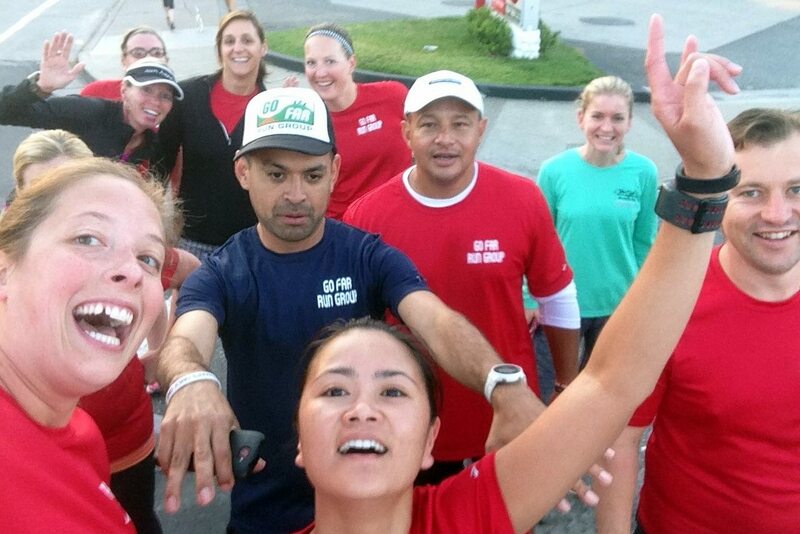 We ran, we talked, we celebrated, and we enjoyed coffee and bagels after the run. It was a solid start to the day and I'm lucky to have found such a great run group. Lori's perfect ponytail swing amidst Go Far shirts. 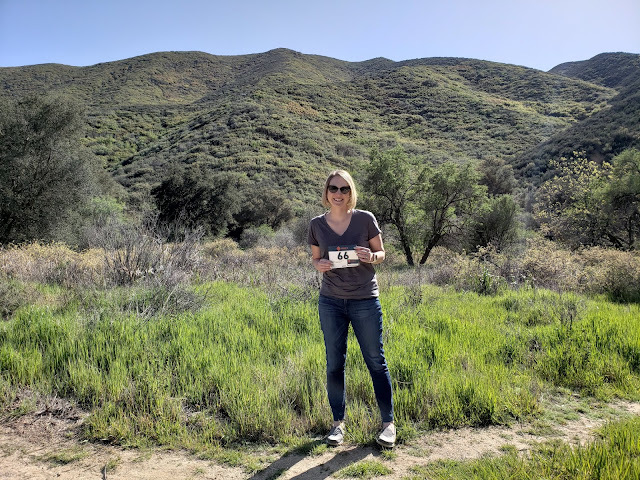 Becca from the Competitor Group came to talk to us about the San Jose Rock n Roll events and to let us know about the $20 discount on all RnR events (today only) for National Running Day. She also gave us some pretty sweet San Jose RnR t-shirts! I've been debating if I want to run that race this year and I'm now leaning toward yes; the logistics are so easy because we live nearby and it's well-organized. That said, I have to get my past two rough San Jose races (2012, 2013) out of my head if I'm going to run it again. Perhaps it's time for redemption on that course. The men's and women's version of our snazzy new shirts. After work, we continued the Running Day fun at our usual Wednesday track workout with a few 800s. I took it easy and only ran 4 reps partly because I ran this morning and partly because I have a trail half coming up this weekend. It's been at least a year since I've run 800s, so I took the opportunity to have someone time me and to see where my paces were. 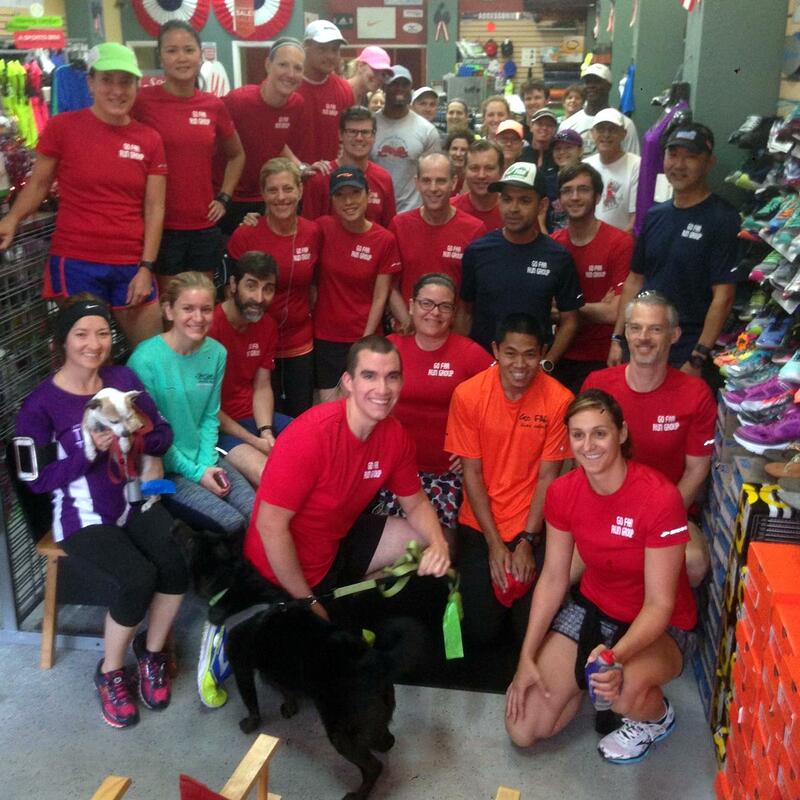 I hope you all had a great National Running Day too - how did you celebrate? Love this, Paulette! Sounds like y'all had a great time!! Best of luck on your trail race this weekend...keep those feet up, girlie!